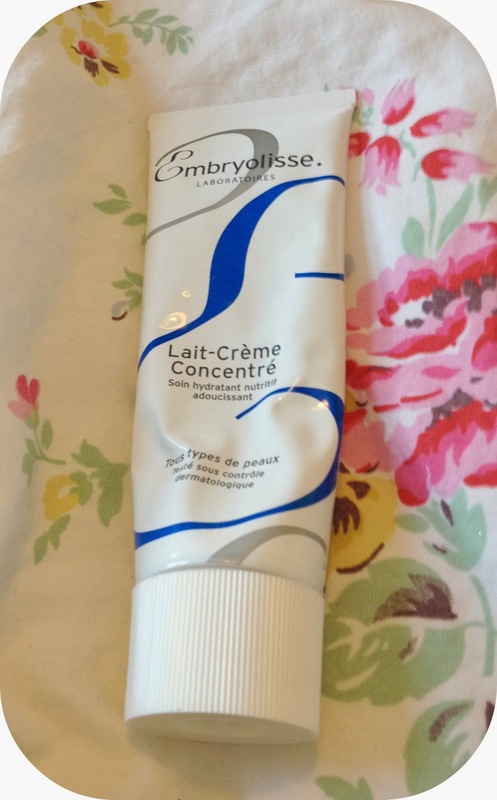 I received this tube of Embryollise Lait-Creme Concentre last year in a give away from the lovely Amelia Liana as part of a big French pharmacy haul and it was one of the first things I fell in love with, I'd read a little about this before trying it but didn't have too many expectations, I was going through a particularly bad patch with my skin at the time, it was incredibly dry and it was before I really started getting into skincare so I was struggling to find the right things to add moisture onto my skin so this was a little bit of a god send. I've only ever used it as a moisturiser really, although it can be used for removing makeup as well and it's used as a primer also, which I think would work well, I do use a separate primer myself but I think this would work well without using one to be honest, because it does have a very slight tacky finish when rubbed in that would be good for applying make up on top of. A little of this goes a long way and is moisturising but without being oily or leaving a greasy sheen to the face which I like, I actually used this in addition to another moisturiser so I was double moisturising at the time (No 7 Beautiful Skin for Dry/Very Dry Skin) because I found that the No 7 cream just didn't moisturise enough, my skin can be very dry though in the winter so I don't think it's any fault of the No 7 Cream really but I wanted the SPF that it offered . It has a very faint floral scent to it but it isn't overwhelming and for those with sensitive skins, I don't think it should irritate. It is quite difficult to get hold of, but you can find it here on Cult Beauty if you want to get your hands on it. I'm currently trying out another moisturiser range but if I feel like my skin needs more moisture, I do tend to reach for this still to double up. 1 comment on "Embryollise Lait-Creme Concentre"